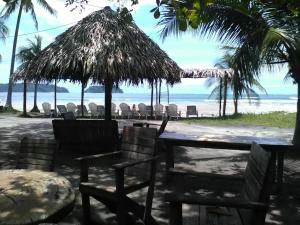 ﻿ Best Price on Las Olas Beach Bar in Samara + Reviews! 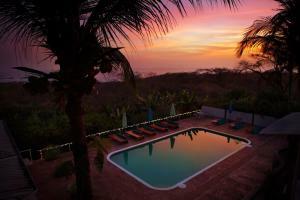 Las Olas Beach Club is set in Sámara, 29 mi from Santa Teresa and 11 mi from Nosara. Free private parking is available on site. The property also offers a restaurant. Las Olas Beach Club features free WiFi throughout the property. There is a shared basic kitchen at the property. Guests can enjoy a beach volleyball court in front of the bar. You can play table tennis at this inn, and bike hire is available. 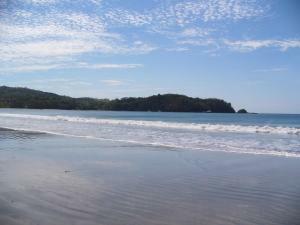 The nearest airport is Daniel Oduber Quirós International Airport, 49 mi from Cabinas and Hostel Las Olas. This property is also a bar. Please note the bar is open until 12am 6 nights and until 2 am Fridays. Music can be heard from the rooms during those schedules. Please note that guests need to pay the reservation fee upon arrival, credit card is used only for holding the reservation. These rooms are rented as cabins and don't offer daily room cleaning. Fresh towels and sheets are available at any time however and cleaning can be requested for stays longer than three days. Please inform Las Olas Beach Bar of your expected arrival time in advance. You can use the Special Requests box when booking, or contact the property directly using the contact details in your confirmation. This property might host on-site functions, so noise may be audible in some rooms.